"The Magic Kingdom, but the Magic happens on the Water." Orlando is known as one of the TOP destinations in the world for the theme parks, but Orlando Florida Fishing is also first class as well. Explore a wide variety of fishing from searching for Trophy Largemouth Bass to fighting the acrobatic Sailfish while Offshore Fishing just a short drive to the East Coast. Orlando, Florida is the PERFECT Family getaway for its abundant outdoor activities! Florida Largemouth Bass Fishing reigns supreme in Orlando as it is the land of 550 lakes. Every direction has access to some of the BEST waters for catching TROPHY Largemouth. Our local experts spent their whole life on the water to provide you with the best experience possible without breaking your budget! Whether you desire to travel east or west, you can enjoy an Orlando Florida Fishing Charter in the deep sea. You can either “Drift” or “Bottom” Fish for species like Grouper, Snapper, and Cobia. You can also explore and catch species such as Sailfish, Wahoo, Mahi-Mahi, Tuna, Shark, Kingfish, Swordfish and much more. 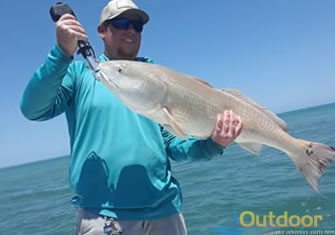 Orlando Inshore Fishing provides a wide variety of beautiful fisheries from Cape Canaveral to Mosquito Lagoon in search for Redfish, Snook, Sea Trout, and even the mighty Tarpon. Step Aboard and experience an Orlando Florida Fishing Charter of a lifetime which is perfect for the family of all ages! 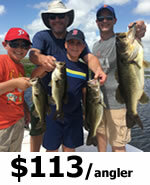 Search iOutdoor, Compare & Book the Best Orlando Florida Fishing Charters Today. The Largemouth Bass spawn is kicked off in Orlando, FL and the bite is fantastic. Check for beds and males protecting them. The trophy-sized females are generally not far behind. The spawn for largemouth bass is still strong and will continue through April. If you are not looking for bass, get hooked on Redfish Fishing near Cape Canaveral or New Smyrna Beach, FL. Weather begins to get perfect for fishing near Orlando, FL. Bass fishing is reaching its peak as this is the month to catch a Trophy Largemouth Bass. Saltwater fishing is beginning to come alive especially on the flats for redfish, snook and trout. Warming trends generally halt the bass spawns but that doesn’t stop the bass from biting. Warm weather also explodes the fishing inshore and offshore on the east coast. 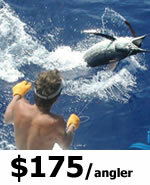 This month kicks off some incredible fishing while Cape Canaveral Offshore Fishing for Mahi, Wahoo and Tuna. Spend some time on the Central Florida lakes as well. It is getting hotter this month and the fishing is even better. Inshore fishing is the best for Tarpon and Snook. Bass are still chewing and you can catch them up. 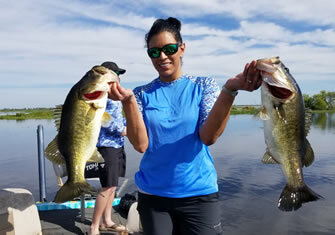 Bass fishing is not just a winter thing in Orlando, you can put big numbers and big bass in the boat during summer months. 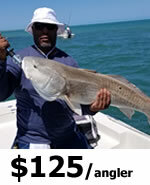 Experience saltwater inshore fishing as well at its peak. During one of the hotter months of the year, hop on board for an early morning fishing trip before the storms. 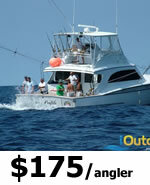 Cruise to the coasts for tarpon, shark and tuna fishing! The Kick Off for the Mullet Run in saltwater. This is one of the best times to fish inshore for Redfish, Tarpon and Snook. Weather is cooling off and the fronts tend to change somethings up. 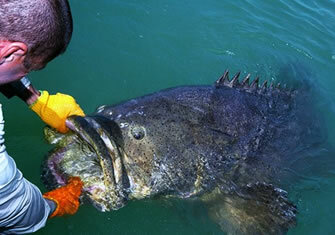 The bass begin to feed aggressively while inshore species including redfish and trout are feeding as well. Bass are gearing up for the spawn, eating anything in sight. Great time to land some nice fish. December is a great month to get out on the water and throw live bait especially for largemouth bass. When fishing Orlando Florida iOutdoor fishing calendar has all the information you will need to see what is biting and when! 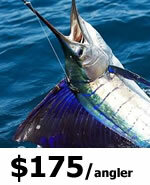 See what type of fish you will be reeling into the boat. Read more.. Call us at +1 (888) 412-1117 and let’s start planning your Orlando Florida fishing charters! For additional ORLANDO FLORIDA information be sure to go to Visit Orlando Florida.